The BRICS development bank could be set up by 2015, Russian Deputy Finance Minister Sergei Storchak told the St. Petersburg forum. 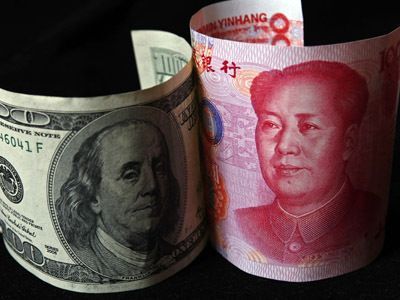 Moving away from the dollar and the euro in mutual trade is the key aim of the initiative. "I think a guideline for the work [of the BRICS development bank] to start is 2015 - that is entirely sensible," Storchak said when asked how realistic it was for the bank to be set up by the previously announced term. By now the initiative has seen modest progress, with just a political decision having been taken. "…we are at the stage where each country needs to put together national delegations and these delegations will hold full-scale talks on all aspects of the establishment of the new bank," Storchak said. Taking the final decision on financing the bank’s capitalization would be the most challenging task. That’s because in the current condition of weak growth funds would be diverted from other projects, Storchak said. "I think that by that time  we can agree on the size of capital and on the size of paid in capital and most importantly carry out inter-governmental procedures on the payment of this capital." Proposed paid in capital was $10 billion with $2 billion from each of the five countries. Earlier in April Storchak said there would be two phases to the bank's creation. In the first, the delegations would agree on key issues regarding the operating activities of the bank. "The main results of this stage should be presented in St. Petersburg when a BRICS meeting is due during the G20 summit [September 5-6]," he said. Other BRICS representatives taking part in discussions as part of the St. Petersburg Economic Forum were also optimistic about the future of the bank. Indian Commerce and Industry Minister Anand Sharma also said 2015 was a realistic term for the bank. He said we should count on the "wisdom of the experts in the BRICS’ central banks that are working on this." China Investment Corporation President Gao Xiqing also mentioned that wisdom was a key factor for the project. 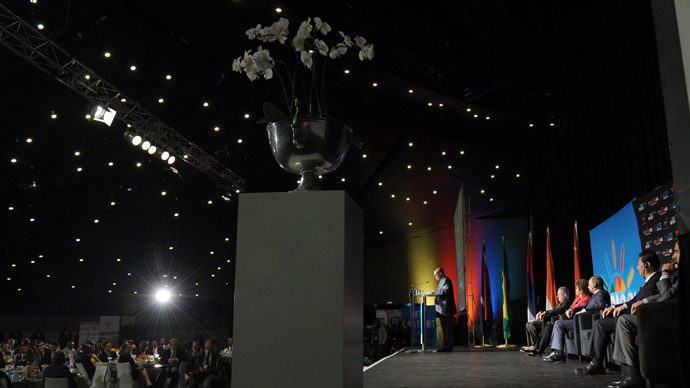 "If we can make it work I think the BRICS bank will be productive. Wisdom is required from the participating countries, we need the knowledge and experience of the participating countries. (…) I consider the future to be optimistic," he said. 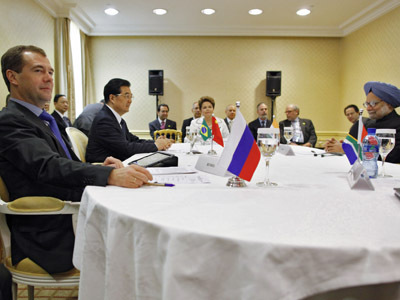 The G20 leaders agreed on the creation of a BRICS development bank at a summit in South Africa in March 2012. The development bank is set to become a vehicle to promote joint investment initiatives and local currencies of Brazil, Russia, India, China and South Africa.